BardBots, Or, How Did I Miss This?! 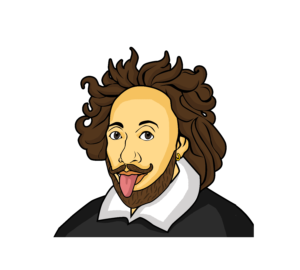 Students study monologues from Shakespeare, annotate for characterization and blocking, then they are challenged to program robots to perform the scenes. …or, sure, why not? Robots performing scenes. Sounds awesome. This is over two months old?! I’m slipping in my old age. Can’t believe this flew completely under my radar. Note that this is a classroom project, not something out of Westworld. The robots are basic, the environment is basic. A long time ago, a professor named Terry Winograd made huge advances in natural language processing in a project called SHRDLU that did nothing but move colored blocks (“Put the red square on the yellow rectangle”, “Where is the blue pyramid?”, etc…) This project reminds me a lot of that. Just last week we were talking about Patrick Winston’s work in training an AI to understand Macbeth. Over on this side, we’re training robots to act it out. Can’t wait to see how they meet in the middle. ‹ PreviousWhat’s This About A Wadlow Portrait?